Production / Case Studies / "Spelling Bee"
​School productions represent unique challenges when providing sound reinforcement. Schedules and budgets are often tight, and performers are often not used to working with technical equipment and procedures. 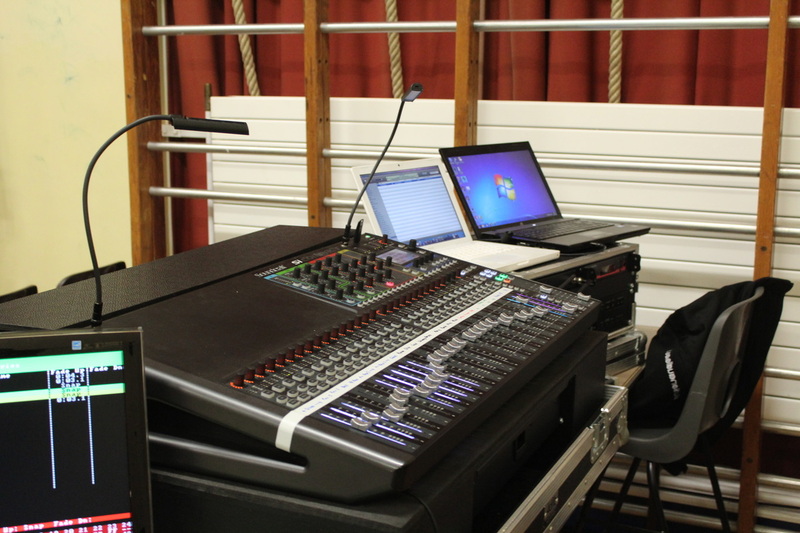 So when Sexey's School in Bruton chose to revive its school production, they knew they needed an audio company that would be sensitive to these needs, proactive with solutions while providing a great quality show for the audiences. Revolution Audio became involved in Spring 2013, when the school wrote its own Shakespeare inspired musical "Like Dreamers Do", based around the music of The Beatles. The show was a resounding success, and since then Revolution Audio have built up a great relationship with the school, including the supply of two brand new portable PA systems through our Consultation Services. So when the time came for the 2014 school show - this time a rendition of "The 25th Annual Putnam County Spelling Bee" - Revolution Audio returned to Bruton to provide full audio production - even greater than that for "Like Dreamers Do". Speech and vocal clarity is imperative for any theatre production - especially so for school shows where the vocal projection of different students can vary hugely. We provided a substantial system of wireless microphones, all using Sennheiser EW300 G3 Equipment. For lead characters we selected the current industry favourite; the DPA d:fine. 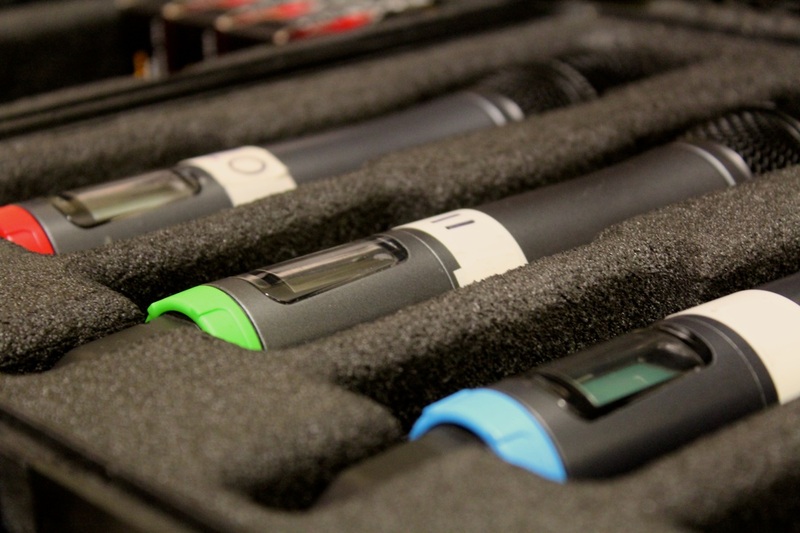 These unobtrusive earset microphones offer truly outstanding quality for both loud and soft voices, and we have recieved many compliments on the intelligibility these microphones provide. 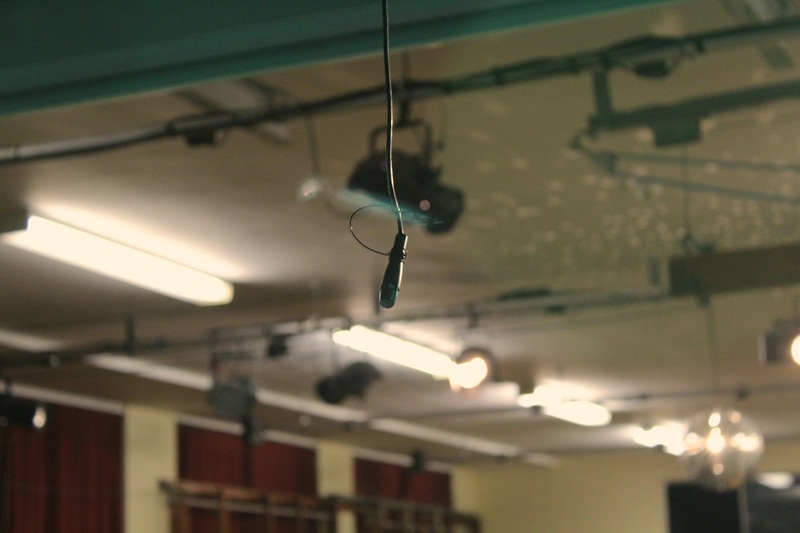 However, we recognise that budgets for school productions are not unlimited, and with a large number of characters playing supporting roles, it was not feasible to provide wireless microphones for all of them. 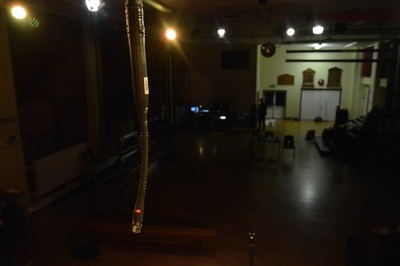 Here, we chose to use a discrete overhead micing setup based around AKG's CK series. 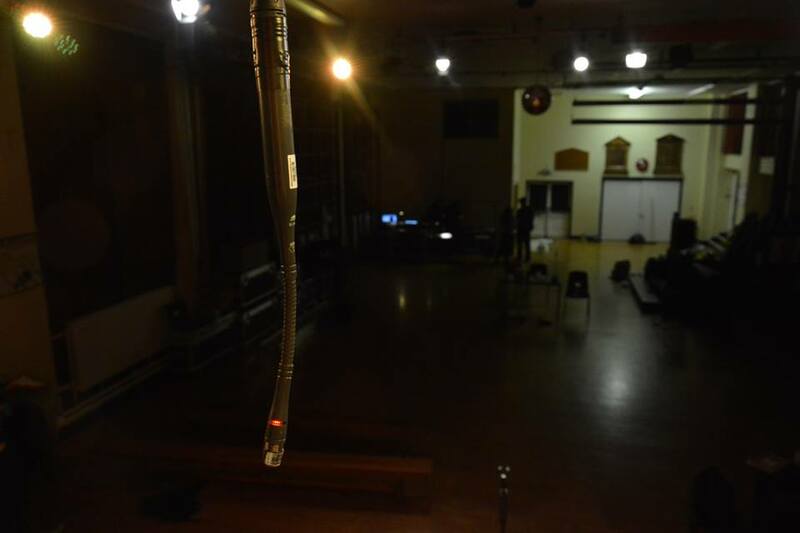 These hanging microphones are extremely subtle when used with the HM1000 suspension module, and the range of capsules with different directivity provided us with plenty of options for different parts of the stage. 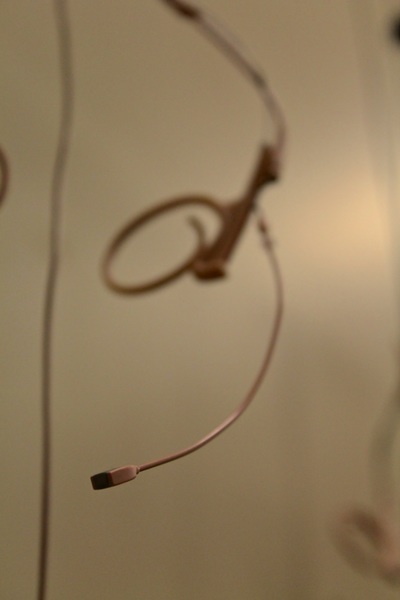 For example, the CK31 capsule offers a wider pickup, but a shorter throw, and we deployed these for groups of vocalists, where the sound level would be higher, and the pickup area larger. And after careful studying of the script, we deployed CK33s - with their longer reach - to other areas where a single character would be standing further away from the microphone capsule. Distance micing can cause challenges with Gain Before Feedback, but we used all the processing made possible by modern digital mixers to our advantage. 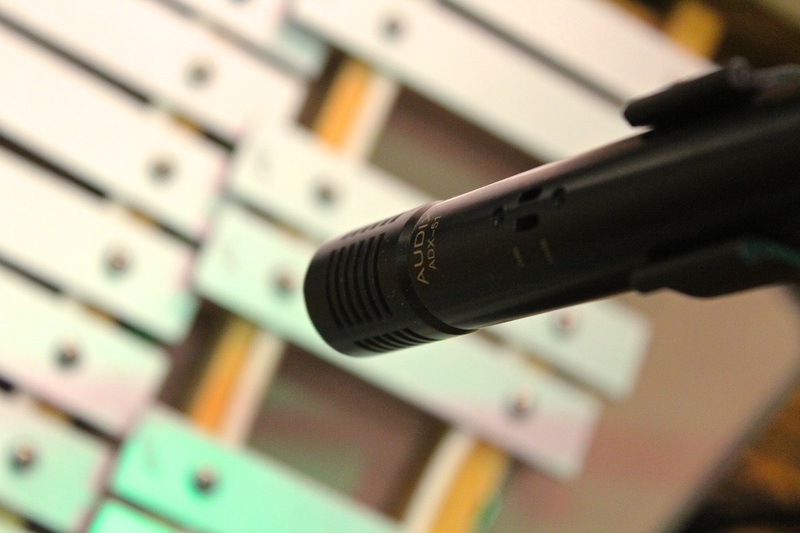 Each microphone was processed by its own 28-band BSS Graphic EQ, to allow us to notch out any feedback-prone frequencies and achieve a vocal level in the FOH System far beyond what the school had ever through possible from the kind of micing setup used. Together with careful settings and use of a cue list on the mixer to ensure only required mics are unmuted at any moment, we achieved great levels of clarity without overspending the show budget. Our Soundcraft Si Compact 32 was the centerpiece of the production, and in total processed 29 inputs to 12 mix buses, as well as the main FOH mix. Total processing used on the console added up to 22 compressors, 14 graphic EQs, 3 Lexicon effects units, plus 4-band parametric EQs on all inputs, all controlled by 86 separate snapshots. 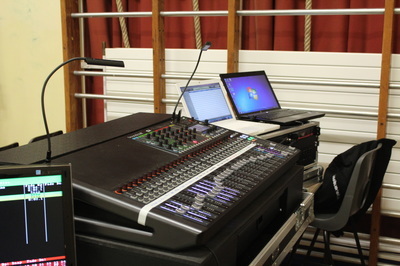 Interfacing to the stage was accomplished by a CAT5 Digital Multicore, running to a Soundcraft Compact Stagebox equipped with Vi1 Mic Preamps. From here, various breakout multicores ran to the band riser, radio mic racks, etc. 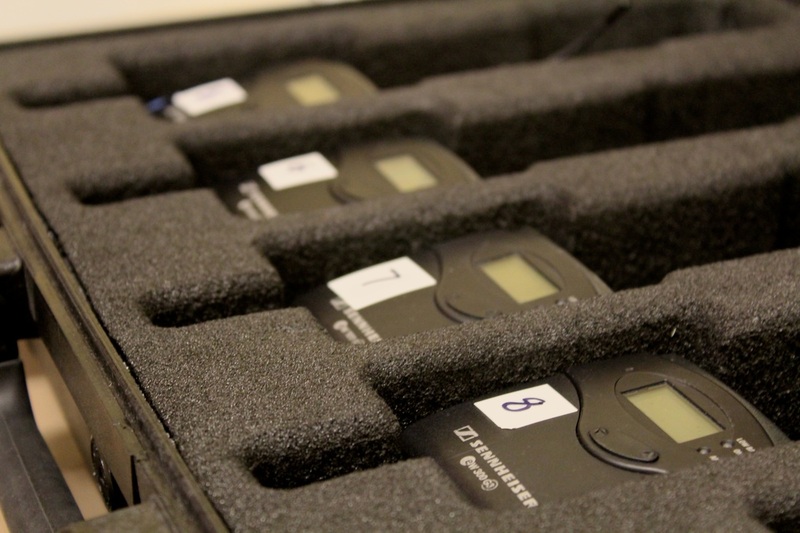 To maximise setup efficiency and system reliability, we also monitored all twelve wireless systems remotely using Sennheiser's Wireless Systems Manager software. 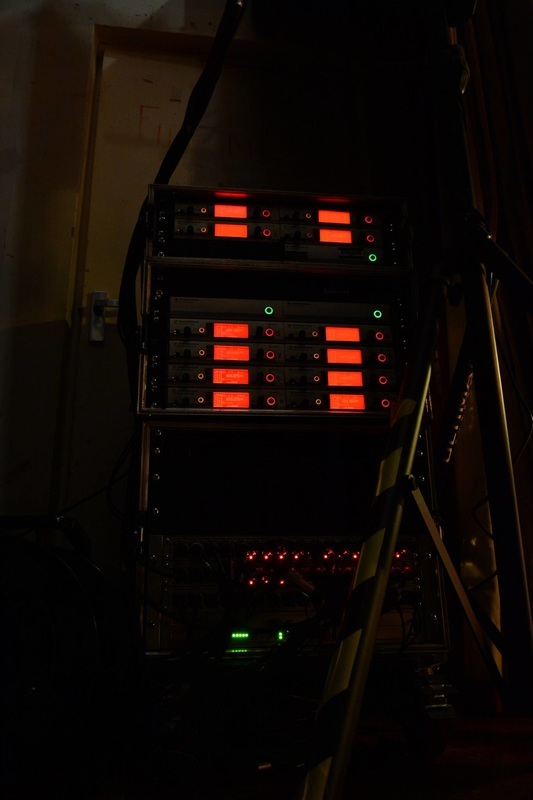 A second CAT5 line was run to the stage, and a Mac Mini at mix position was used to scan and deploy frequencies, and monitor battery, audio and RF status during the show. Three Sennheiser ASA1 Antenna Splitters in conjunciton with two A1031-U antennas flown from the truss provided rock solid RF reception for all the systems. The band consisted almost entirely of "silent" sources, such as electric drum kits and keyboards. As such, a large number of BSS DI Boxes were deployed, but we also used Audix i5 and ADX-51 microphones for capturing of the percussion and glockenspiel parts. 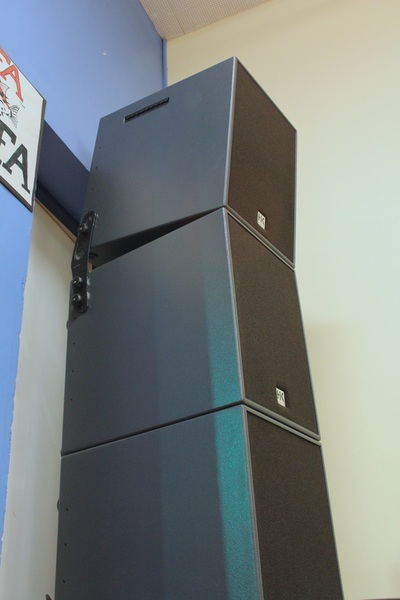 Wedges for the band and sidefills for the stage consisted of QSC K10 and DB Technologies M10-2 cabinets. And finally, we understand how in the often high pressure environment of theatre, being friendly, approachable and professional is crucial. Over the week we spent on site, we built excellent, light hearted relationships with both students and staff, giving them confidence in the production and a friendly face to turn to for any questions. The show proved another great success for both Sexey's School and Revolution Audio, and we once again proved our ability to deliver high end production for events of all sizes and budgets.